Every creative type needs a good old-fashioned pen and notepad at the ready for when inspiration strikes. 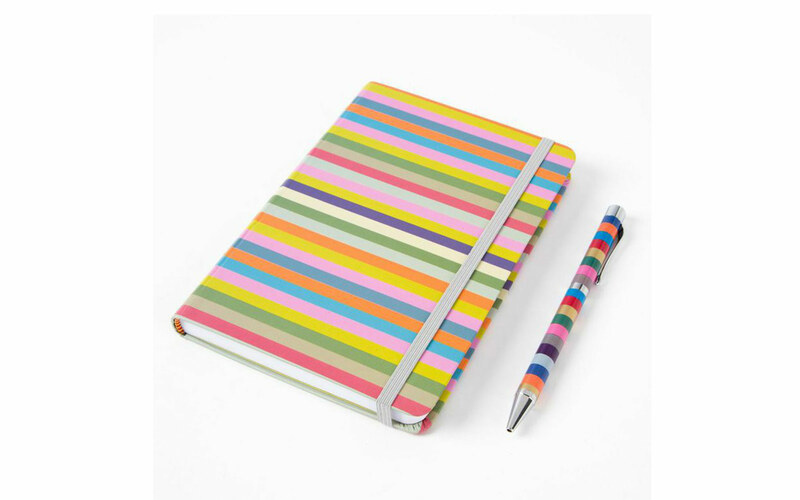 The Stripe Journal Pen Gift Set by Fringe, $16.76, papyrusonline.com, is as whimsical as it is functional. The slim design and playful motif make it easy to take it everywhere. Tagged fringe, hostess gifts, Papyrus, Parade Magazine. Previous Post ‘Drop Dead Diva’ Season 6 Spoilers: Lindsey McKeon, Simone Kelly Guest Star In Lifetime Series: Will Jane And Grayson Finally Be Together?